You are viewing an archived version of Ocean Planning in the Northeast. The National Ocean Council certified the Northeast Ocean Plan in December 2016. The ocean and the livelihoods it supports are vital to New England. People in New England greatly value our ocean heritage and are seeking basic needs from the ocean—jobs, food, energy, and recreation, among others—in new and increasingly complex ways. The Northeast Regional Planning Body (RPB) is responsible for developing New England’s ocean plan in accordance with the National Ocean Policy Act of 2010. After receiving input from the public, the Northeast Regional Planning Body approved goals and objectives for the region’s ocean plan. The Framework for Ocean Planning in the Northeastern United States (33pp, 791K) specifies these goals and objectives along with actions, outcomes, tasks, and timelines. Join our mailing list or contact the RPB. Join us for the next Northeast ocean planning meetings on November 15-16, 2017 in New Hampshire. Effective planning requires detailed information on human activities in ocean areas, such as commercial fishing, shipping, and boating. 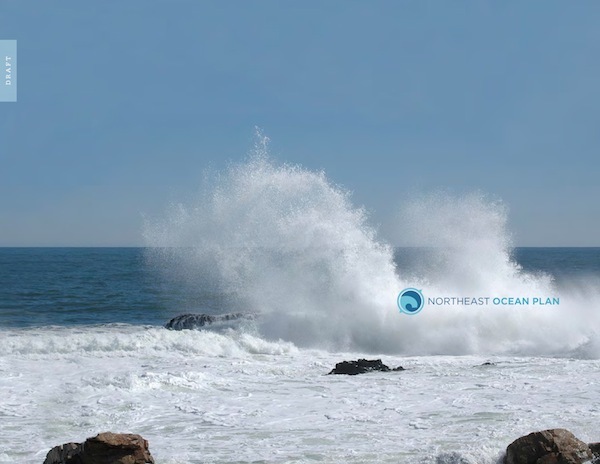 The Northeast Ocean Plan relies on the integrated interactive maps, tools, and other information found in the Northeast Ocean Data Portal's data. November 14, 2017— Webinar available for remote access to November 15 RPB Data Workshop. November 2012 Inaugural Northeast RPB Meeting: Develop common understanding about the RPB; provide context and lay foundation of regional ocean planning; engage stakeholders and the public, discuss initial focus. April 2013 Northeast RPB Meeting: Northeast RPB Meeting: Identify draft goals for regional ocean planning and mechanisms for receiving public input about those draft goals; provide opportunities for public input about topics under consideration. May/June 2013 Public Comment Meetings: Ten public meetings throughout New England to discuss draft regional ocean planning goals. January Northeast RPB Meeting: approve goals and objectives; move forward on related tasks. May/June Public Engagement: Natural Resources Workshops and focused engagement to discuss progress toward goals of effective Decision-Making and Healthy Ocean and Coastal Ecosystems. June Northeast RPB Meeting: Review progress toward all goals. Fall Public meetings/workshops and Northeast RPB meeting: Feedback on progress toward each goal. Spring Stakeholder Forum: Review progress on the use of marine life and ocean use data, regulatory coordination, and future scenario development. June Northeast RPB Meeting: Review approach to developing draft plan by considering agency use of ocean plan data products; discuss draft outline for regional ocean plan. Fall Northeast RPB meeting and public meetings: Review revised products for each goal; discuss future work of the RPB. Winter EBM Working Group: Review progress on Draft Northeast Ocean Plan, marine life and habitat data product development, including IEAs Framework. Spring Northeast RPB Meeting (via webinar): Release Draft Plan for public review. Summer Collect public comment on the Draft Plan through public meetings and other opportunities. Fall September public webinar to review changes to the Draft Plan and October submittal of revised Plan to the National Ocean Council. Winter Northeast RPB members and federal principals of the National Ocean Council sign Plan Adoption Memo. April Informational webinar to prepare for stakeholder forum. May Stakeholder forum and RPB public meeting.